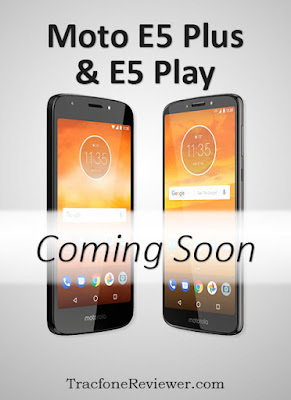 Motorola has announced several new budget smartphones - the Moto E5 Plus, E5 Play and E5. Although these will be low cost devices, they will pack some impressive features which we will share more about below. They will likely be great options to bring to the Tracfone BYOP program as they are unlocked and compatible with both GSM and CDMA networks. Motorola also recently announced the Moto G6, G6 Play and G6 Plus and you can follow the link to learn more. The Moto G lineup generally offers a little more performance at a higher cost compared to the Moto E line. The Moto E5 Plus might be the most notable (and also the highest priced) with a large, 6" touchscreen, enormous 5,000 mAh battery, 3 GB RAM and 32 GB Storage. Motorola isn't expected to release the Moto E5 in the US market, so only the Plus and Play versions will be available. 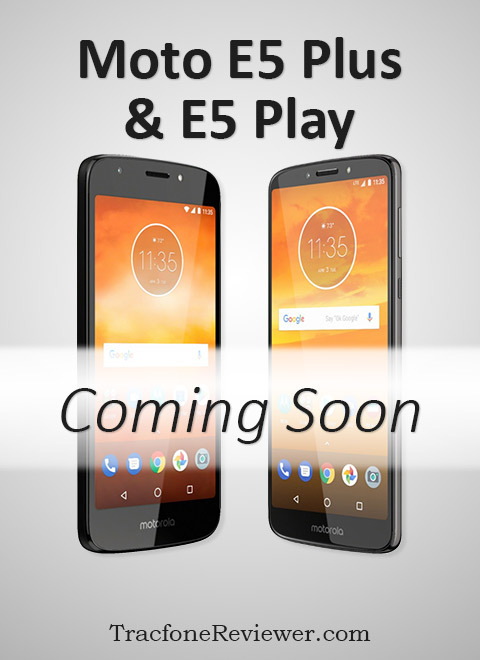 The E5 Play will have a much smaller, 5.2" screen, smaller battery, 2 GB RAM and 16 GB internal storage but likely priced closer to $150 or less. Both Moto E5 variants will have Android 8.0 Oreo, Octa-core processors and expandable storage with a Micro SD card slot. The previous version, the Moto E4 Plus, had similar specs except a smaller, 5.5" screen, only a quad-core processor and a few other differences. Both the E4 and E5 Plus are clearly aiming for customers who want a large screen, long battery life, but don't demand intense performance from the phone (but it can still handle most apps and games). There are several similarities between these models, such as the Operating System, fingerprint reader and other base features, but they also have some significant differences, with the most obvious the screen size and battery. The Moto E5 Play has a 5.2" screen which is the same size as the Moto G5 Plus, but significantly smaller than the E5 Play. Not everyone prefers a larger phone, so this is a good option for users who prefer something that fits in one hand more easily, or in a smaller pocket. With the smaller screen, and overall smaller size, the E5 Play also has a battery almost half the size of the E5 Plus. But don't worry, that still puts it right inline with most phones of this size, and users should get all day battery life. Also important to notice is the internal storage and RAM for each of the models, with the E5 Plus featuring 3 GB RAM and 32 GB Storage, while the E5 Play only has 2 GB RAM and 16 GB Storage. Tracfone offers a number of smartphones with 16 GB storage/2 GB RAM for under $100 including the LG Premier Pro and LG Rebel 3, so these might be worth considering, although the E5 Play does have a newer OS and better processor compared to the LG phones we mentioned. The differences continue with the camera and processors, although these aren't as significant differences. The E5 Plus does have a slightly faster processor, and better rear camera. And, as expected, the prices will also likely be quite different, with the E5 Play likely around $100-150 and the E5 Plus somewhere around the $200 price range. We will continue to update this as more details become available. Share your thoughts or questions in the comment section below. Follow us on Facebook for the latest posts, news and deals. 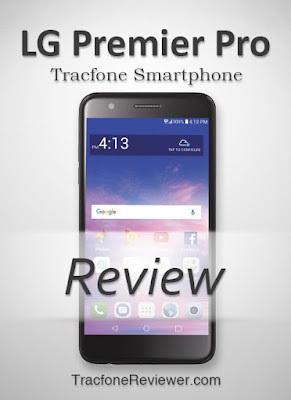 If you're shopping for a new phone, visit our Latest List of Tracfone Smartphones to see what is new from Tracfone. And if you have questions about activating a new phone, look no further than our Tracfone Smartphone Activation Guide which includes tips for activating BYOP devices as well. Welcome to TracfoneReviewer. We share news, reviews and Tracfone Promo Codes! Tracfone releases another upgraded LG phone in the shape of the Premier Pro which has a 5.3" touchscreen, 16 GB storage, 2 GB RAM, Android 7.1 and quad core processor. It shares similar features and specifications to the recently released LG Rebel 3, LG Fiesta 2 and LG Stylo 3, with screen size the key difference between these phones (ranging from 5" on the Rebel to 5.7" on the Stylo 3). The Premier Pro replaces the older LG Premier, which shared the same screen size, but half the storage and memory. We are glad to see Tracfone continuing to expand their lineup of smartphones that include 16 GB Storage/2 GB RAM as that is about the minimum for average smartphone users needs. As with the other LG phones from Tracfone, the Premier Pro uses CDMA networks (Verizon) but we may see a GSM version in the future. Let's look at the quick pro's and con's for a brief overview. There isn't really anything new or too exciting about the Premier Pro, but it does include the latest Android OS and is available at a reasonable price. It is disappointing that Tracfone continues to releases CDMA phones and has neglected their GSM users. Let's go straight to the full list of specs to see more of what this phone offers. Size: 5.85" x 2.96" x 0.34"
LG is a popular and well known electronics company with a wide range of smartphones available ranging from budget devices like the Premier Pro, to high end phones such as the LG V30 or LG G7 Thinq. The features and specs on the Premier Pro are in line with the budget phone status of most Tracfone smartphones. As we have mentioned, it is fairly similar to the LG Rebel 3 and LG Fiesta 2. But let's take a closer look at some of the key features in our full review. The screen on the LG Premier Pro is 5.3" and has a resolution of 1280x720. The display is bright and clear, but nothing beyond similar phones in this price range. What is a little unique on the Premier Pro is the curved screen which wraps back to connect with the frame and leads to a more unique look. Many smartphones come with screens somewhere between 5" and 5.5", so the Premier Pro is right in the middle. It has a larger screen than the LG Rebel 3 and Samsung Galaxy J3 Luna Pro, but a smaller screen than the LG Fiesta 2, LG Stylo 3 and Samsung Galaxy J7 Sky Pro. Featuring what appears to be the new started for Tracfone smartphones, the Premier Pro has 16 GB internal storage, 2 GB RAM and a 1.4 Ghz quad-core processor. These specs are in line with other similar models and provide good performance and enough storage for a variety of apps. There is also a MicroSD card sot for up to 2 TB additional storage which is great for those who may want to load additional media or information. For some ideas on apps to use, see our List of the Best Android Apps for Tracfone. The Rear 8 MP camera comes with auto focus, flash, and HD video shooting capability. The front 5 MP shooter has selfie lighting, and a wide angle to help get everyone in the shot. The camera on the LG Premier Pro is enough to capture moments to share with family and friends, but is not all that impressive when comparing to some of the other camera phones on the market. If you are looking for a budget phone with a great camera, the newly released Moto G6 might be a great option. Battery life on the Premier Pro is fairly good with a 2880mAh battery (non-removable) included. The newer Android OS uses a combination of battery saving features to help conserve power when the phone is not in use. This phone should last the day with low to moderate use, and if running out of power is a concern, consider a car charger or external battery pack. like the Anker 10,000 mAh pack which can recharge your phone several times. The Premier Pro comes with Android 7.1 Nougat which is the latest version of the OS at this time. It has a variety of improvements over past versions both for security and usability. Tracfone smartphones can't receive OS updates, so whatever OS version your phone comes with it will be stuck with so getting a phone with a more recent OS version is usually a good idea. It is expected that Android 8.0 Oreo will be available soon. Although Tracfone officially says that phones released after April 2017 do not include Triple Minutes for Life, they have been offering a promotion for new phone activation which gave triple minutes as a bonus. For more on this, see our post on Tracfone Ends Triple Minutes for Life. Time to see how the Premier Pro stacks up to the other smartphones from Tracfone. Each phone comes with 16 GB storage, 2 GB RAM and Android 7.1 Nougat. The Premier Pro is also comparable to the Samsung Galaxy J3 Luna Pro, but Luna Pro has a smaller screen, older OS, only 1.5 GB RAM and was released almost a year ago. 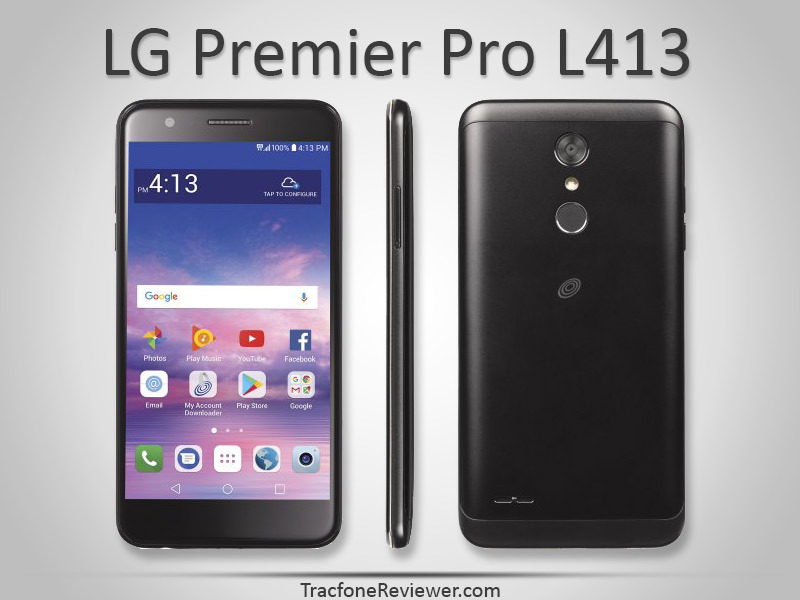 The LG Premier Pro is another budget smartphone offered by Tracfone that has a good balance of features and specs, but is not spectacular. For users considering the LG Rebel 3 or Fiesta 2, this is another possibility. Although the amount of internal storage and RAM is pretty good for a budget phone, we are seeing more and more phones in this category with 32 GB storage and 3 GB or more of RAM. Most of these phones are under $100 but will have to be used with Tracfone BYOP as they are not directly available through Tracfone. The Moto G Plus (5th gen) is currently $189 and has an octa core processor, 32 GB Storage and 2 GB RAM. The LG Premier Pro is currently available at through HSN and QVC with an airtime bundle which is a great deal. For more specific details on this phone, see the LG Premier Pro User Manual. An interactive tutorial is available as well. That concludes our review of the Premier Pro. We hope you found this information useful. Leave a comment below with any thoughts or questions! Be sure to also check our List of Tracfone Deals, Discounts and Sales for the latest bargains. 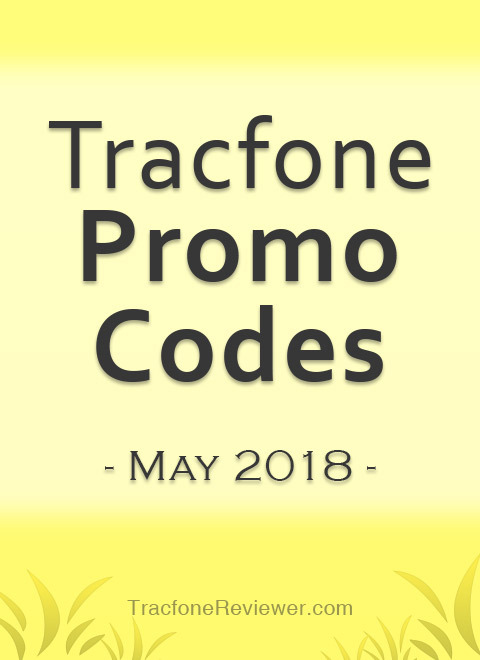 This promo code list is gathered and shared by TracfoneReviewer. 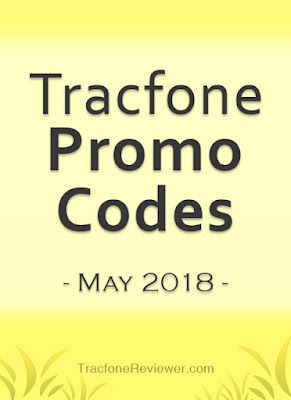 We share the newest codes for May in this post with nothing to click or do - just updated Tracfone promo codes to use with your Tracfone device! There are codes for both Smartphones and non-smartphones, and be aware that some of the codes for non-smartphones may not work on smartphones (but sometimes they do work). To use a promo code simply include the code in the 'promo code' section while adding a Tracfone airtime card online, on your phone or over the phone. Looking to keep track of your airtime? See our Guide to Checking your Airtime Balance which includes four different ways to do it. And if you are shopping for a new phone, take a look at the Latest Tracfone Smartphones or our Cell Phone Reviews page for some recent options. Let's get to he codes! Note that most codes can also be used on cards of greater value. For example, the code for the 120 minute card can also be used with a 200 or 450 minute card. These codes are for specific Smartphone Cards and cannot be used with other cards. Valid through May 2018! These are the latest codes for may 2018. We hope they work for you and leave a comment below with which one you tried and any thoughts or questions! Also visit our main Tracfone promo code page for additional code options. Get the latest news about the Motorola G6 and the possibility of it coming to Tracfone in our recent post! See our Tracfone Deals and Discounts section for recent sales on Tracfone devices and unlocked phones. And join us on Facebook with a community of helpful users to answer questions or send us a message directly.